As much as we loved providing an audio CD for issue #27’s Tribute to Slam, we didn’t want page poets to be left out. The tradition of public readings is central to contemporary poetry, whose medium, we’ve always felt, isn’t the page, but rather the breath itself. Here is an opportunity to listen to poems as the authors intended them to sound, in their own voice. 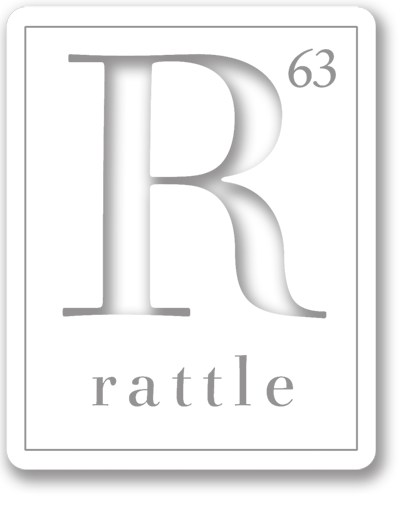 Any poems that have appeared in Rattle are eligible, and this archive will be updated regularly. If you are a poet who we’ve published, and would like to be included, email us to ask how. We also plan on adding audio clips from recent and upcoming interviews—keep an eye on this page for updates. Michael Ferris Think of the Children! Bob Lucky Wouldn’t You Confess?